Would you be able to tell if your home needed replacement windows or not? It’s not like looking at ugly old paint and realizing your house needs a fresh coat. Many issues that arise with old windows that causing them to fall into disrepair can remain hidden to the casual observer for years. Failing to be able to spot the signs of rot and decay in and around your home can result in higher repair costs once the problem becomes to big to be ignored. It’s best to be able to recognize and address looming issues early on. That way the damage is caught sooner, and will possibly cost less to repair. Replacement windows are particularly troublesome to spot for many homeowners possessing little, or no, knowledge of home construction. In fact, unless a window is literally falling out, or allows wind and rain to come through, most folks won’t pay much attention to their windows at all… until it’s too late. Here is a list of 5 things you can check for today, that will let you know if it’s time to trade out those old, rotting windows with a brand new window replacement system. Higher Than Average Energy Bill – If you have been noticing an increase in your energy bill recently, you might want to investigate your windows as the possible culprit. 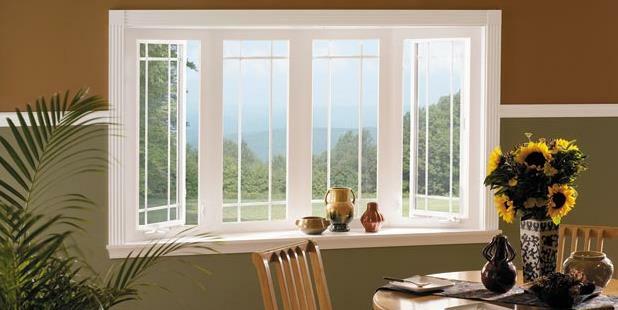 Drafty windows are responsible for up to as much as 25% of your total energy bill. Replacing worn out windows that have become warped, cracked, or pulled away from the framing is a smart way to reduce energy loss and tame that monthly bill. Weather Damage – Often times, our homes are called upon to withstand major weather activity. High winds, dramatic levels of rain, or snow, and even long periods of intense heat can cause existing windows to buckle, become misshapen, or even be damaged to the point of needing replaced by inclement weather. If you have recently experienced severe storms, now would be a great time to visually inspect all of your windows for damage. Look for gaps between where the window’s sills and the house meet. Even tiny cracks can hold moisture for long periods and lead to further damage even if no more storms occur for some time. Insects can move into any small space in lose window frames, and begin causing a whole different type of chaos. Insects and Bugs – Another clue to a window problem might be the presence of insects and other bugs whether in, or outside of the home. Wasps, bees, ants, and termites are just a few species of insects that like to make their homes in decaying framework, and rusty window sashes. The destruction they create increases the chances of even further deterioration of your home. Top window replacement companies will recommend that a pest issue be managed before new windows are installed to safeguard the future of new installments. Historic Residence – Sometimes, when dealing with very old buildings, or older restoration projects, you might find that the materials that were once a good idea are no longer doing the job they should. Although there are plenty of options to choose from when looking for the best deal on replacement windows, you also need to consider matching the style and model. This can sometimes cost you more, but it is important to maintain the aesthetic of the older architecture. We know, old, single-pane glass windows are not as efficient when compared to newer styles of double, and even triple paned glass replacements. Take your time, and find the perfect blend of value and the right product to match up with your vintage home remodel. Less Maintenance – Once again, sometimes the age of your windows is the best reason to replace the glass. Old styles that use to boast how easy they were to clean may not be so easy by today’s modern standards, not to mention the energy being lost through inefficiency. If you’re tired of needing to set up a ladder, or use clunky extenders to clean outside surfaces, then it may be time to upgrade to newer technology. These days, outside surfaces of windows have the capability of being cleaned from inside the home, making life much easier when it comes time for spring-cleaning. The important thing to keep in mind, really, is to just keep your windows in mind. Give them a close examination from time to time to make sure they are still in good shape, and able to protect your home for another year. The professionals at Jackson Insulation and Exteriors are always willing to help you decide if it’s time for new windows for your home. Call us anytime at 1-815-459-7444 and our service representatives will be available to answer your questions, and offer a Free Estimate.